Gonzaga will open against Illinois in the nightcap of the Maui Invitational’s first day. The Zags and Illini will tip at 8:30 p.m. Pacific on ESPN2 on Nov. 19 at the Lahaina Civic Center. Arizona and Iowa State clash at 6 with the winner/loser matching up with the GU/Illinois winner/loser. If Gonzaga’s second-round game is in the winner’s bracket, it will tip at 7:30 p.m. on ESPN. 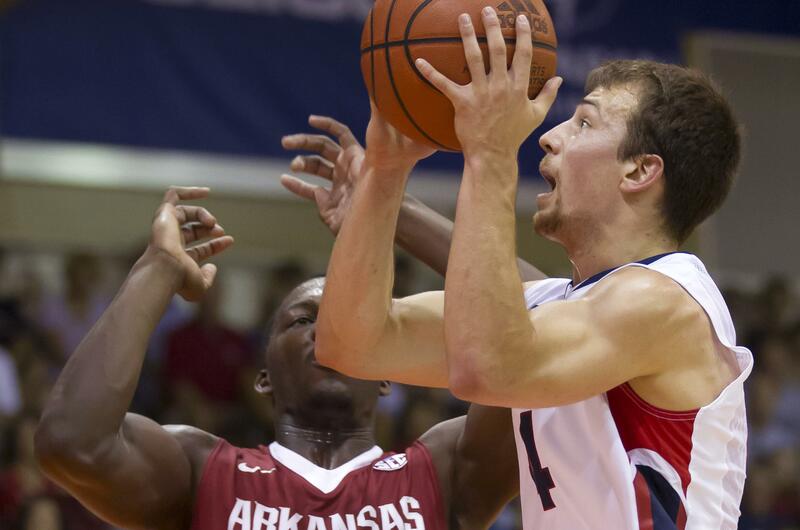 If the Zags are in the consolation bracket, they’ll play at 2 p.m. on ESPN2. In openers on the other half of the bracket, Duke faces San Diego State and Auburn meets Xavier. Gonzaga and Duke are expected to be ranked in the top five, with the possibility of a 1-2 showdown if both advance to the championship game. Auburn has been listed in the top 10 in numerous preseason polls. The Zags have some history with Illinois, most of it favoring the Illini. The Zags trail the series 5-1, their lone victory coming on Elias Harris’ winning shot in an 85-83 overtime decision in January 2010, at the United Center in Chicago. The Illini are rebuilding under second-year coach Brad Underwood. Gonzaga director of operations Stephen Gentry was on Underwood’s staff at Stephen F. Austin and Oklahoma State and was expected to join him at Illinois before deciding to return to his alma mater. Illinois returns two double-digit scorers and just four players from last year’s 14-18 team. Guard Trent Frazier, a 6-foot-1 sophomore, averaged 12.5 points and 3.1 assists and 6-6 junior forward Kipper Nichols contributed 10 points and 4.2 rebounds. The two combined to start 24 games. Illinois will lean on eight newcomers, including six from the high school ranks and Kent State graduate transfer Adonis De La Rosa, who averaged 11.8 points and 7.6 rebounds but is coming off a torn ACL in the MAC Tournament. The Illini’s recruiting class was ranked No. 25 by ESPN.com. Gonzaga is familiar with both of its potential second-round matchups. The Zags and Arizona have squared off eight times since 2000, the Wildcats winning six times. They’re scheduled to meet in Tucson in the 2020 season, in Spokane the following year. The Zags won the last meeting in December 2016 at the Staples Center. Roughly a week before Gonzaga beat the Wildcats in L.A., the Zags edged Iowa State 73-71 in the championship game of the AdvoCare Invitational in Orlando, Florida. Gonzaga was one of three finalists for standout guard Brandon Williams, who eventually picked Arizona. The Zags return Josh Perkins, Zach Norvell Jr., Rui Hachimura, Killian Tillie and Corey Kispert and welcome transfers Brandon Clarke and Geno Crandall. Gonzaga has made four trips to Maui and won in 2009, beating Colorado, Wisconsin and Cincinnati in the final. Duke, which brings in the nation’s No. 1 recruiting class, is a five-time champion with a 16-0 record. Four coaches in the Maui field have been national Coach of the Year winners. Six of the eight with at least five years of experience (Few, Underwood, Duke’s Mike Krzyzewski, Arizona’s Sean Miller, Auburn’s Bruce Pearl and Iowa State’s Steve Prohm) are among the NCAA top 20 active leaders in winning percentage. Published: July 24, 2018, 10:17 a.m. Updated: July 24, 2018, 4:55 p.m.